Today I have decided to try something a little different, but before we start with my experiment, let me sketch out what’s driving this line of thinking. Sure, we will have risk hiccups as Central Banks attempt to normalize rates and monetary policy, but the big one – you know, the one no one is prepared for – will occur when easing causes the long end of the yield curve to sell off hard. At that point, there will be no easy answers for politicians and policy makers. That’s the end game. The End of the Incessant U.S. Bid? It’s not getting much airplay, but on Friday, a rather important factor to the incessant U.S. financial asset bid expired. There has been considerable debate amongst the fixed-income community regarding the amount of curve flattening that has been the direct result of corporations accelerating their pension contributions. In fact, Brian’s article is named, “The Yield Curve’s Day of Reckoning is Overblown” and is mostly a rebuke of the idea that this factor has been the driving force to the recent flattening. Continue reading The End of the Incessant U.S. Bid? Well, bad news for that crowded spec short in the 10Y: Goldman just slashed their year-end targets for G10 yields across the board. Last Friday, when the latest CFTC data hit, Jeff Gundlach was pretty adamant about the possibility that a short squeeze might be imminent. As a reminder, the net non-commercial short in the 10Y increased to a record 698,194 contracts in the week through last Tuesday. Treasuries: Too Far Too Fast? 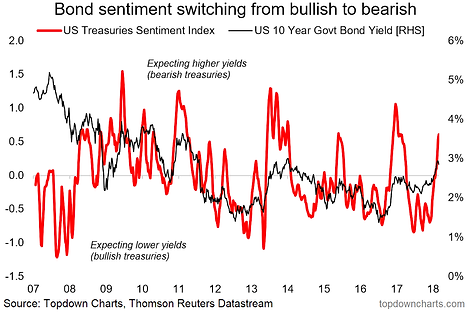 I talked about the tactical outlook bond yields a couple of weeks ago in the Weekly Macro Themes report, and a key chart from that was the one below – bond market sentiment. The chart shows our composite treasuries sentiment index. The index derives signals from bond market implied volatility, bond fund flows, speculative futures positioning, and sovereign bond market breadth. The combined signal has provided some truly insightful leads on the market, particularly when it reaches an extreme. I have lined it up with the US 10 year bond yield to give an intuitive display of the swings in investor sentiment. When it comes to sentiment indicators and incorporating them into a broader process, my view is that sentiment indicators typically contain ‘momentum information’ through the range, and ‘contrarian information’ at extremes. 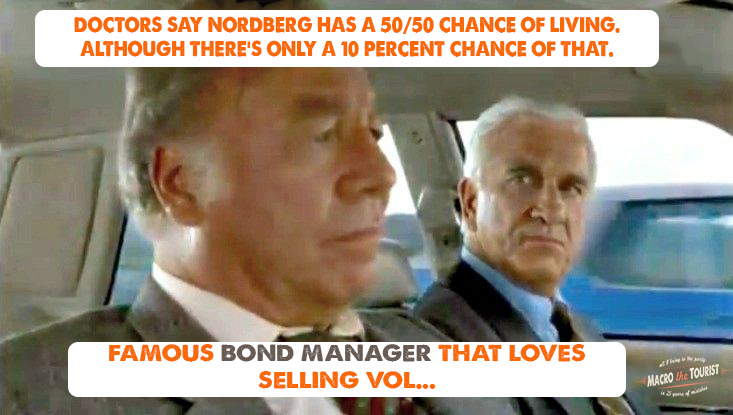 Thus I would say at this point we are swiftly transitioning from momentum to contrarian information, and the risk of a stabilization or pullback in yields is elevated at this point. My medium term view remains that bond yields go higher. 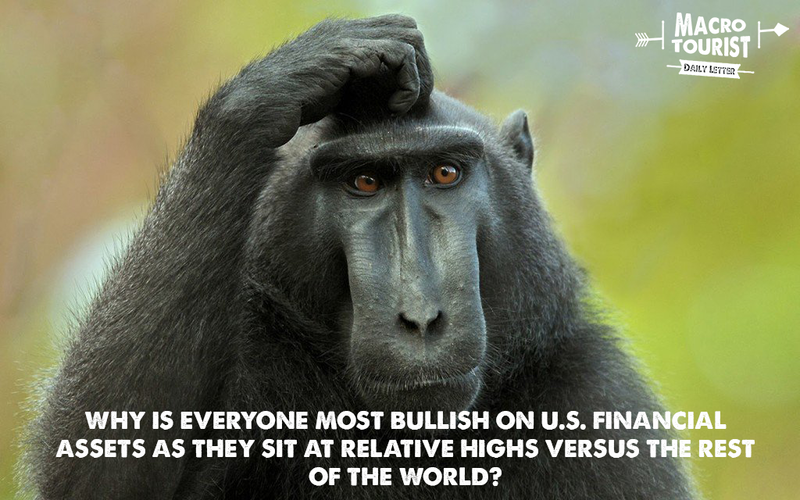 This view is informed by bond valuations still being at expensive levels, a positive growth/inflation outlook (strong cyclical picture), and a turning of the tides in monetary policy (specifically, with quantitative easing being gradually phased out globally and the Fed starting QT). Short-term, seasonality is also consistent with higher bond yields (through until about May-June). So if I had to guess, I would say there is a decent risk of a short-term pull back in bond yields (i.e. rebound in bond prices), but that this will be a brief interlude as the medium-term trend will likely resume shortly thereafter.